Back in 2011 we wrote the feature ‘DJ vs Producer’ posing the following question “Can you make it as a successful DJ without your own music?”. Two years on and the highly respected ‘Point Blank Music Studio’s‘ have concluded in their article that it is not possible, quoting that only 2 DJ’s in last years ‘Resident Advisor Top 100 DJs’ poll did not have their own music, read our feature DJ vs Producer to see what we think? 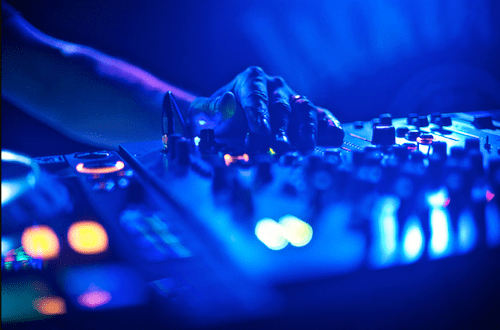 Consequently Point Blank have launched a new ‘DJ/Producer‘ course and given us 5 reasons why producing will help you get more DJ gigs. They also gathered a few quotes from respected voices within the scene; Eats Everything, Timo Maas and newcomers Brodanse. 1.) You need to understand production to be able to remix other people’s tracks. Remixes are common currency to getting noticed as a new producer. You may not get paid for delivering your first remix but if it is released on a decent label or respected artist it will give you a valuable degree of exposure and kudos. 2.) In order to be able to secure regular gigs and take your DJ career to the next level you need an agent and/or manager. As a new DJ an agent won’t consider taking you on unless you have a decent following on social media and regular releases coming out. 3.) While it’s true that most established artists are making the lion’s share of their income through gigs and shows (versus recording income), you need releases out to ‘tour’ in the same way as a live act. 4.) Through amazing developments in products and digital DJing, barriers to entry have been lowered and now everyone knows someone that DJs. Being able to create original material and re-edits that no one else has for your mixes and developing a creative live show that you can ‘perform’ enable you to stand out from the crowd. 5.) Learning how to produce gives you flexibility and a pathway to progression with huge potential. i.e. you might start off as an electronic producer releasing on underground labels but in 10 years time be producing pop acts and working with other artists. Owning recording and publishing copyright’s is also your retirement plan as, as strange as it might sound to you now, the reality is you probably won’t feel like DJing in clubs when you’re over 50. NextFreebie Friday Download feat. Special Request / Breach / Indigo / KRL / Oizo among others….